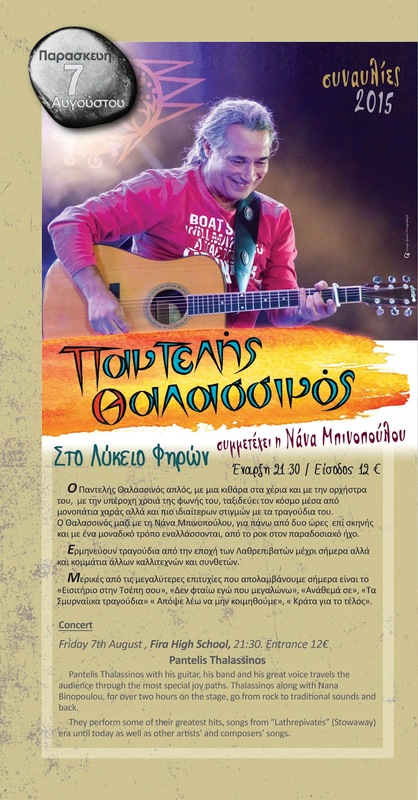 Pantelis Thalassinos, a well-known Greek performer, with his guitar, his band and his great voice travels his audience through the most special joy paths. Thalassinos, along with Nana Binopoulou, goes from rock to traditional sounds for over two hours on stage. Organized by the Cretan Association of Santorini “Arkadi”.